Noel Design, LLC has over twenty-six years experience developing wayside and interpretive signs for federal, state and local agencies and private clients. All of our clients and related projects involve environmental education and outreach information directed towards the public sector. The most successful projects of this kind have been the result of collaborative effort. Interpretive media, including signage can only be successful when it conveys the message it was intended to deliver to the target audience. We always try to work from this understanding with the client providing information and ideas along the way, proceeding through a step-by-step process to develop the most creative, effective, accurate and attractive results possible, on time and within budget. Noel Design, LLC also has many years of experience working with sign and frame system fabricators as well as writing quotes for specific products and knowledge of what materials would work best at a particular location. 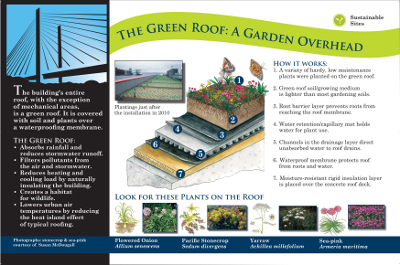 12 interpretive signs and a color brochure. The signs are located in and around the Center for Urban Waters. Each sign interprets one of five LEED® performance areas within the building construction and landscaping. 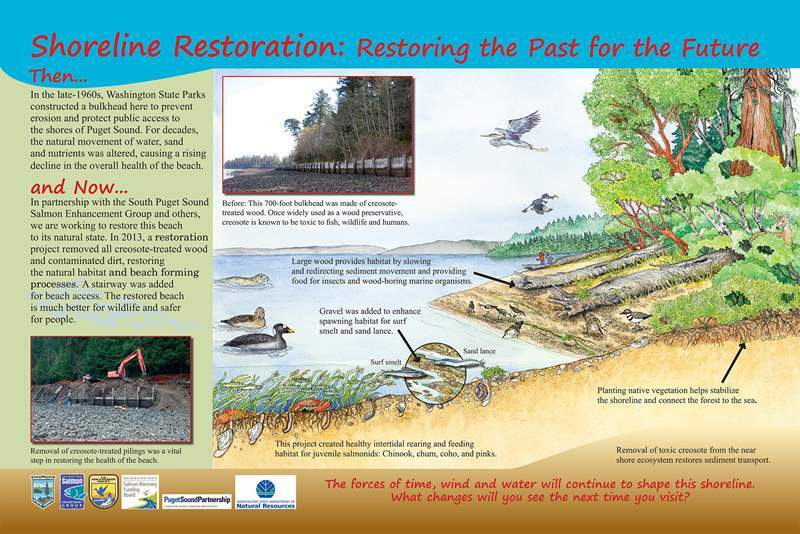 11 interpretive signs for Vashon’s trail systems within the Island Center Forest lands, a 363-acre sustainable forest and nature preserve. 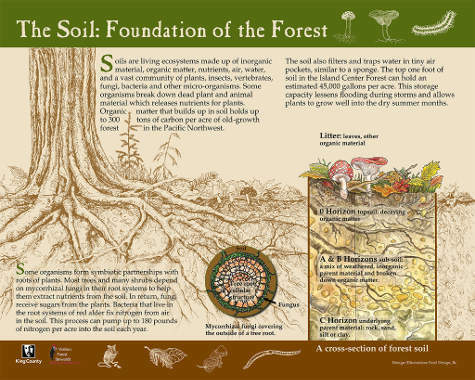 The signs interpret the natural history of the area, forest sustainability and human impact. Numerous signs over the last 20 years to interpret the geology, natural history and cultural history of the forest. 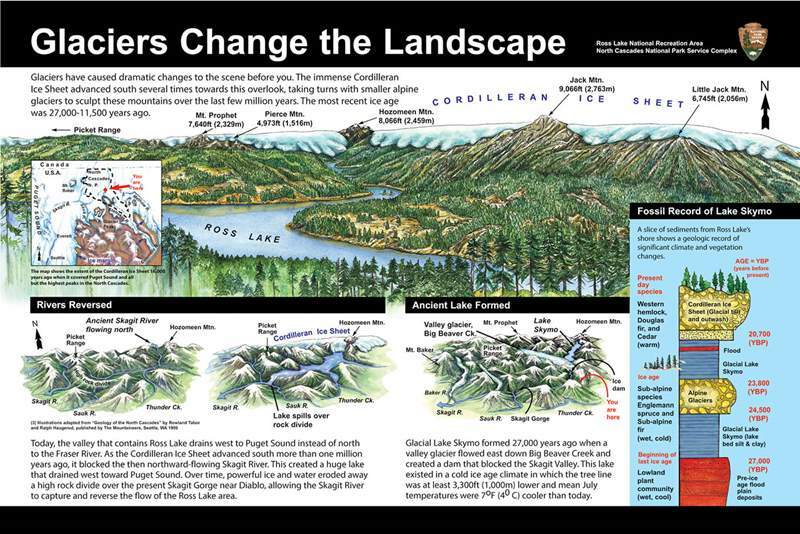 North Cascades National Park wayside exhibits and interpretive signs about local geology and natural habitat. 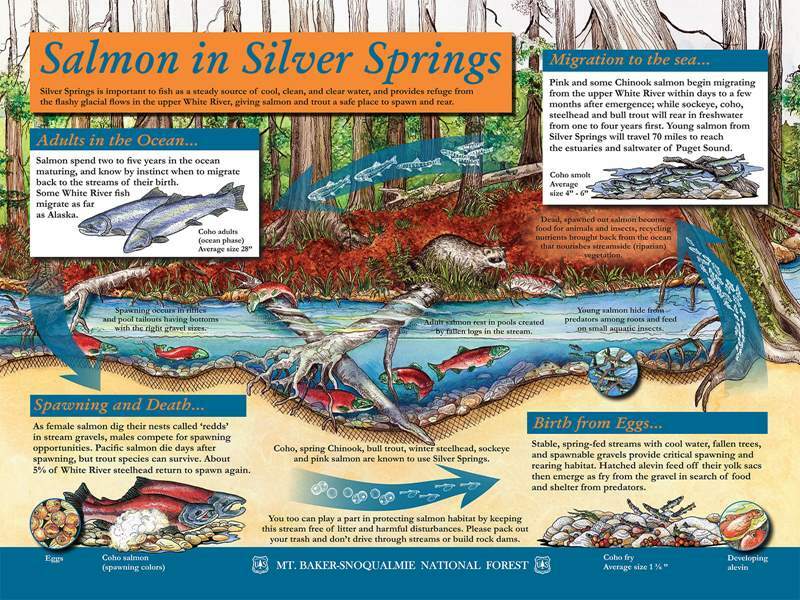 11+ signs for BeeBe Springs Natural Area Habitat. 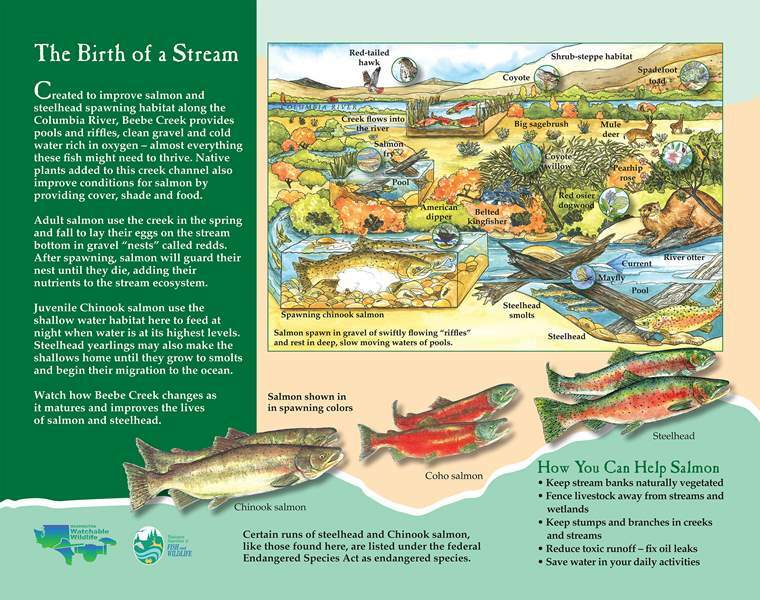 Once a former orchard in the Columbia Basin, it was purchased to restore the site for salmon habitat, public access and education. 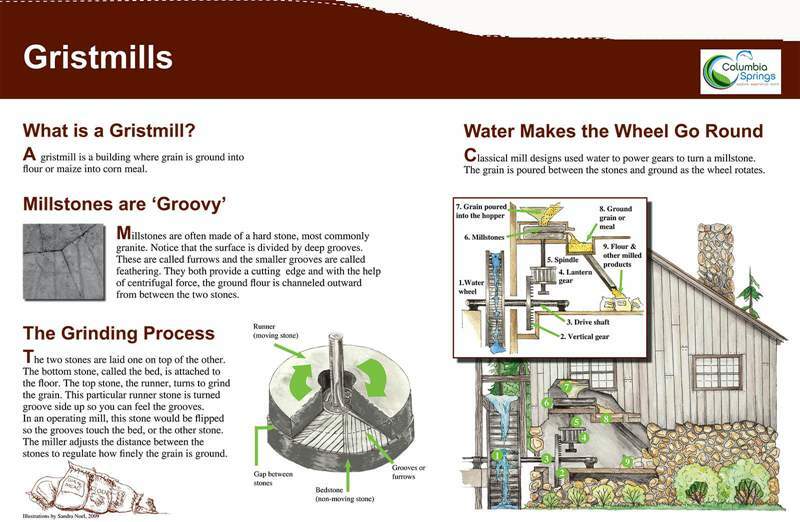 4 interpretive signs and 2 wayside panels for the White River Interpretive Trail. The signs interpret local human activity and natural history of this area. 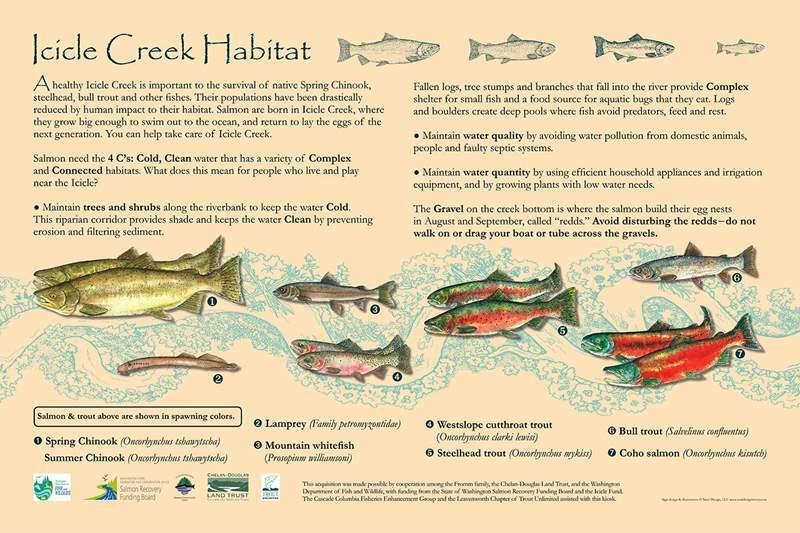 2 interpretive signs for SPSSEG (South Puget Sound Salmon Enhancement Group) and Washington State Parks Commission, and a poster for Kennedy Creek Watershed.